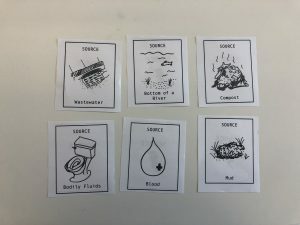 This is my research blog where I post things I'm working on or thinking about. 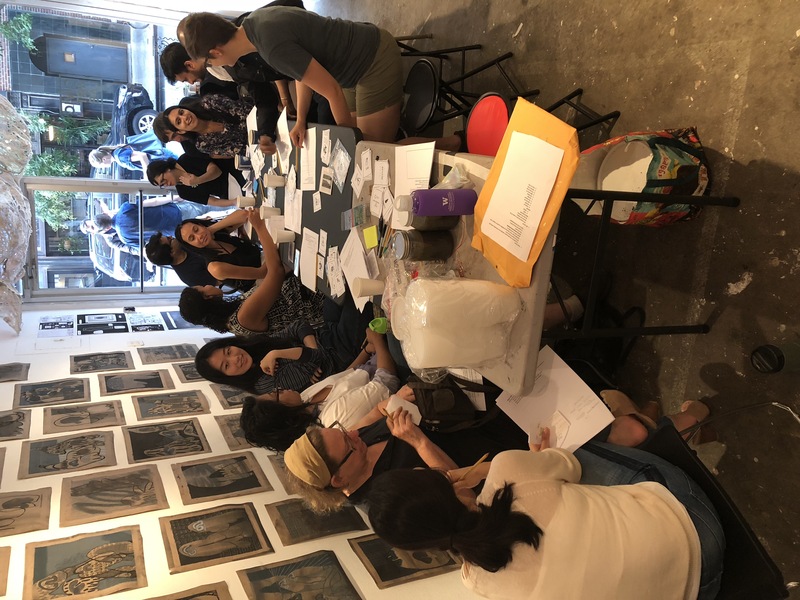 Earlier this month I ran a workshop at the Civic Art Lab, an annual pop-up lab in NYC that focuses on design and sustainability. 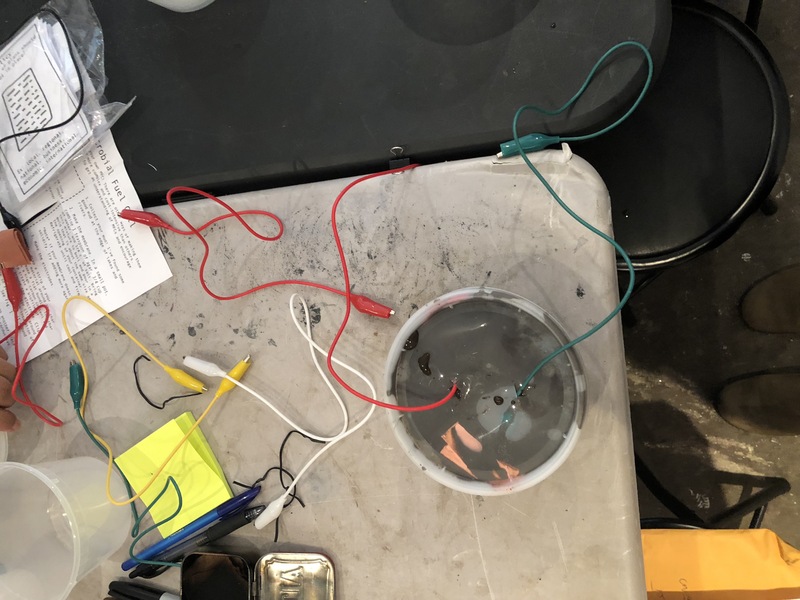 My workshop was titled, “Powered by Muck: A Microbial Fuel Cell Workshop” and was a culmination of a few different ideas that I’ve had for awhile. 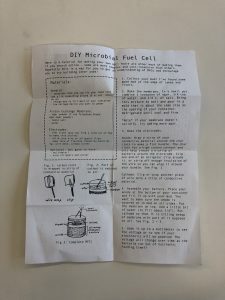 My first introduction to microbial fuel cells was when I attended a workshop at the Citizen Science Lab in Pittsburgh. Along with the friend who I had convinced to come with me, we were the only non-chaperone adults in the class. 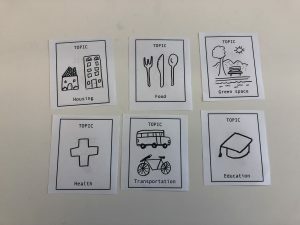 However, doing hands-on activities is a worthwhile endeavor at any age and is a great way to understand complex ideas through putting something together. 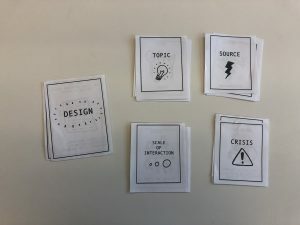 Recently in my own research, I have been trying to wrestle with tackling issues (and paradoxes) of what it means to design and develop technologies in a sustainable manner. Where do we even begin in asking these questions???? 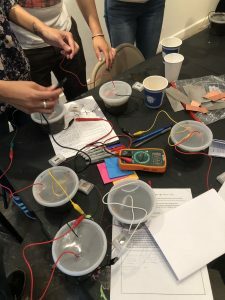 Thus, this workshop came about as a way to ask questions about what might alternative energy infrastructures look like when we ask questions through the emerging technology of microbial fuel cells. This workshop was half design activity + half hands on demo. 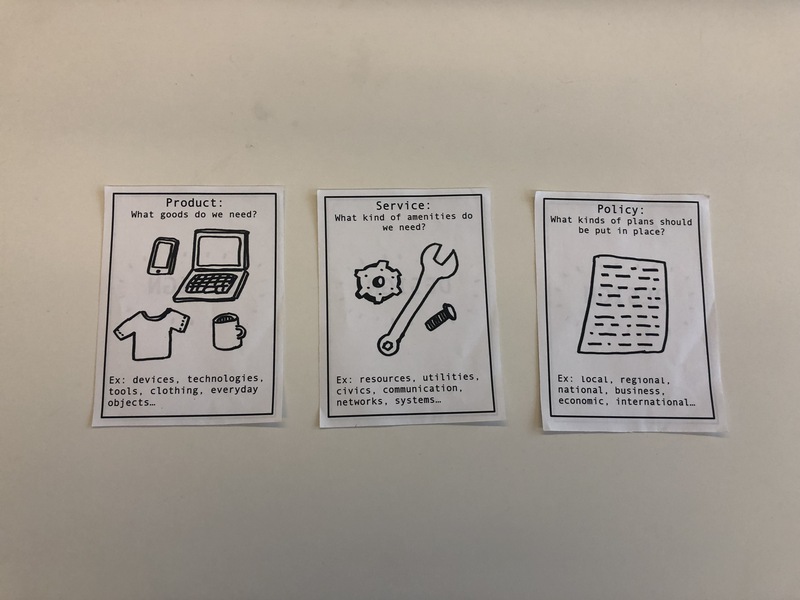 For the design activity, I created some materials to help scaffold the process. 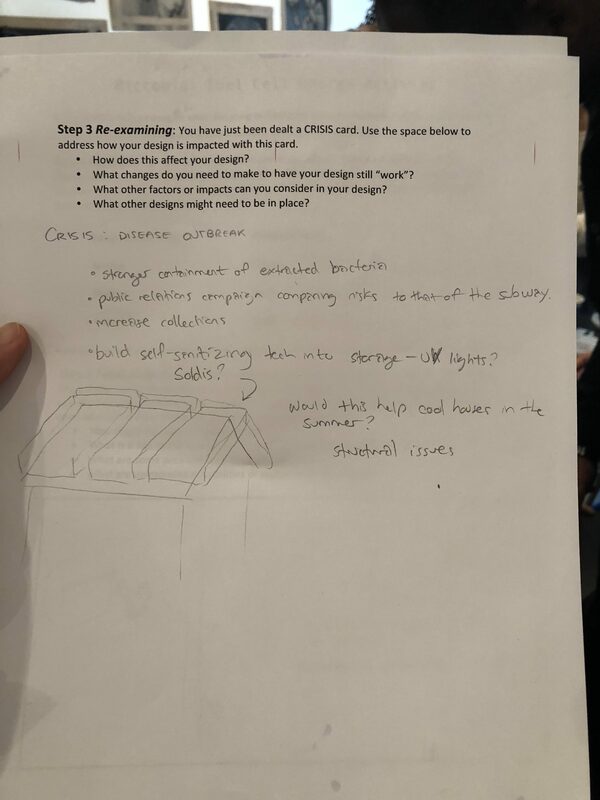 This came from previous experience based on another workshop I taught (DIY ToS – terms of service) where there were wayyyy too many options for people to pursue that given the limited amount of time, it felt hard and stressful for many participants to come up with what they wanted to work on. 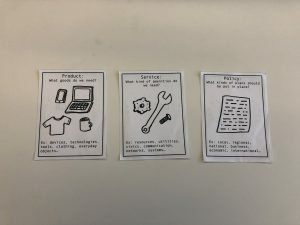 Since I wasn’t sure what the technical set up for the space would be like (and it’s always nice to have information to take home), I created this one-page zine that was essentially what I would have included in slides. 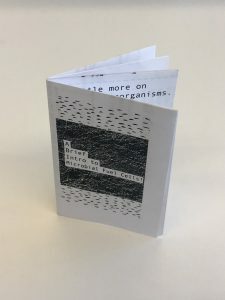 Additionally, the one-page zine format allows for a full page spread in the “middle” of the zine. Here I decided to create a tutorial for making MFCs based off of a lot of other tutorials + my own trials and errors. 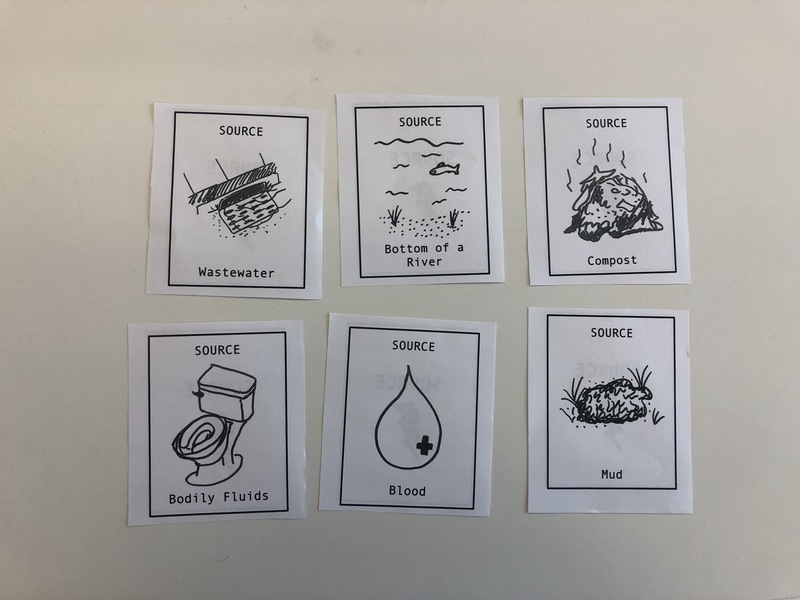 The design activity consisted of a set of cards that asked participants to create a speculative design that incorporates microbial fuel cells as a way to ask questions about what a world that uses this technology might look like. 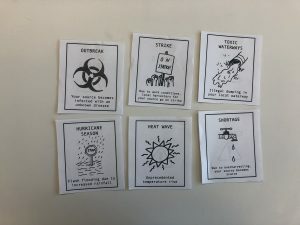 The whole “game” consists of five decks, Design, Topic, Source, Scale of Interaction, and Crisis. 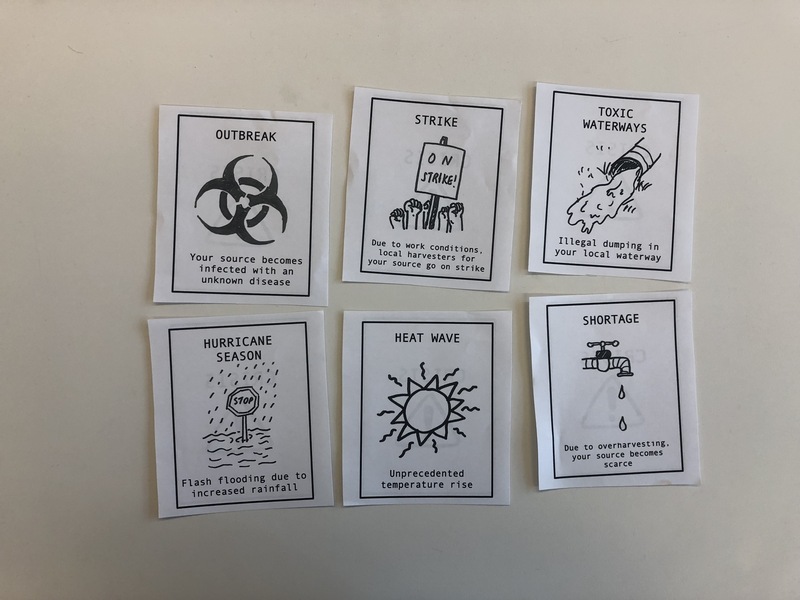 The participants choose one from each deck (randomly or not), except for the crisis cards, and have to create a design that incorporates all of those aspects. 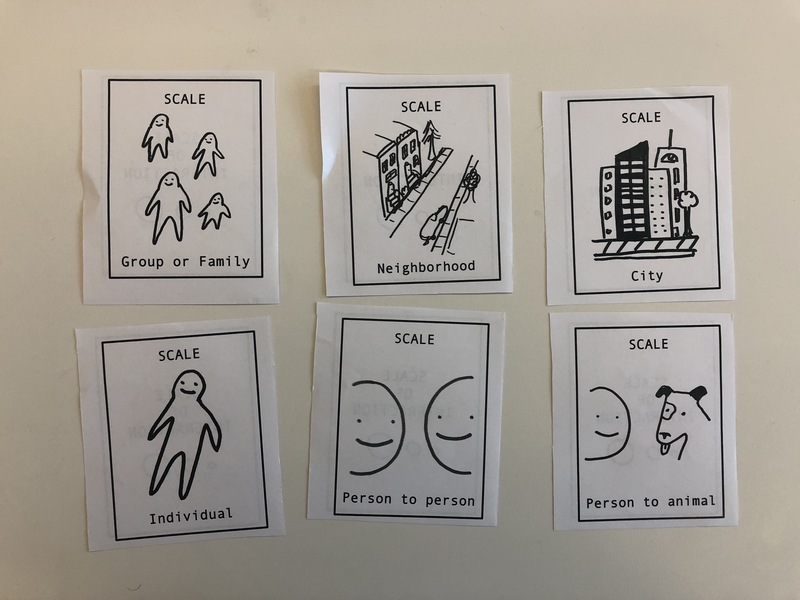 There is also an accompanying worksheet to help people think through. 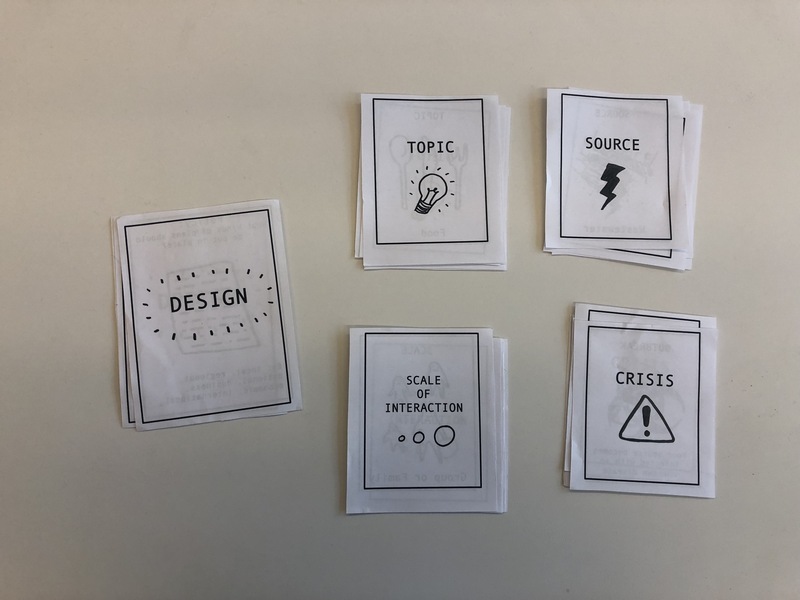 Then, because designs don’t always work the way you hope they would, halfway through, people are dealt a crisis card which may or may not derail their design. They then have to iterate on their design to accommodate this “crisis”. Overall it seemed that this activity went pretty well. The scaffolding really seemed to help with considering options and generating ideas. It may also have been that the group was fairly primed for this type of activity – as those who attended were folks who were interested in design and sustainability. 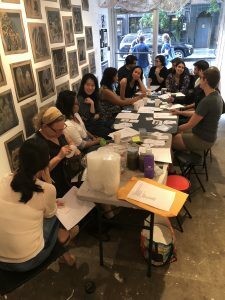 Among the attendees included, grad students from architecture, education, cosmetology, and STS, an urban farmer, a community organizer from the LES, artists, and educators. 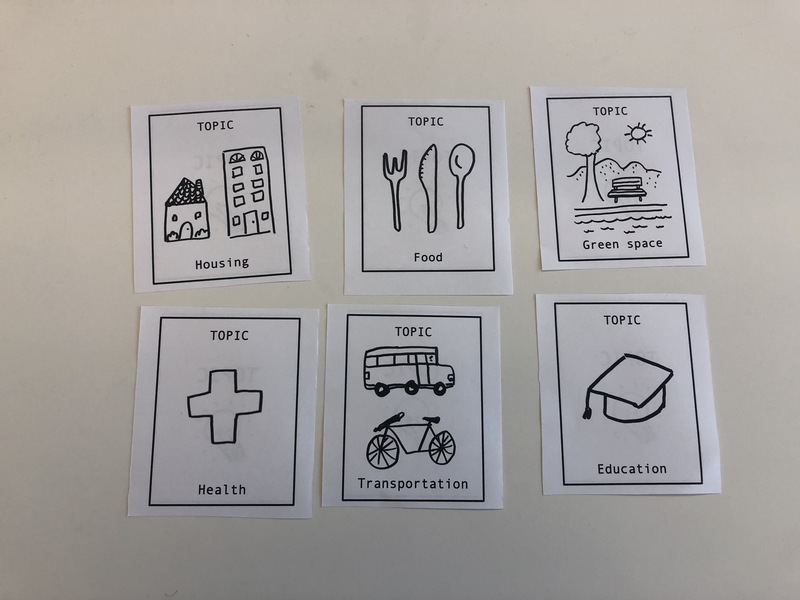 One suggestion was to include blank cards for each of the areas so that people could feel more compelled to add their own additions to each category. 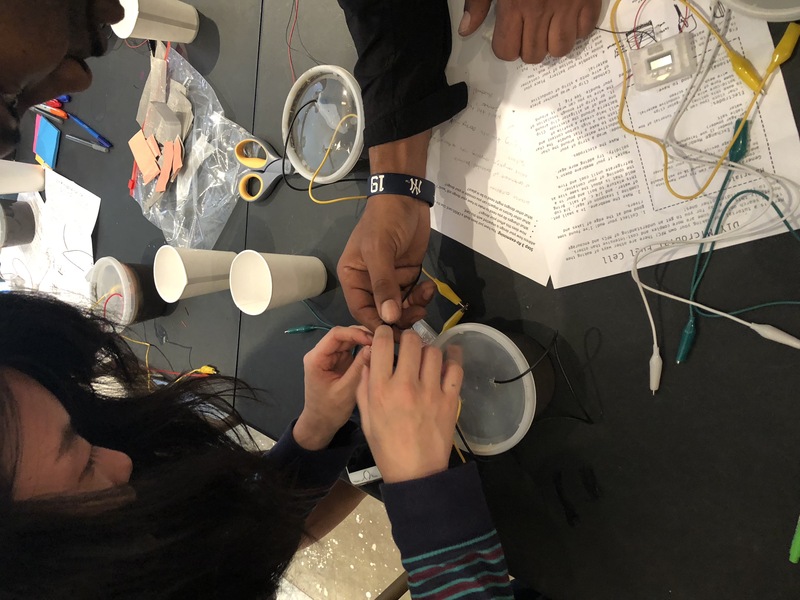 The second part of the workshop was the building of the microbial fuel cells. This was something that I have been worrying over since I got the workshop acceptance email in August. Why? 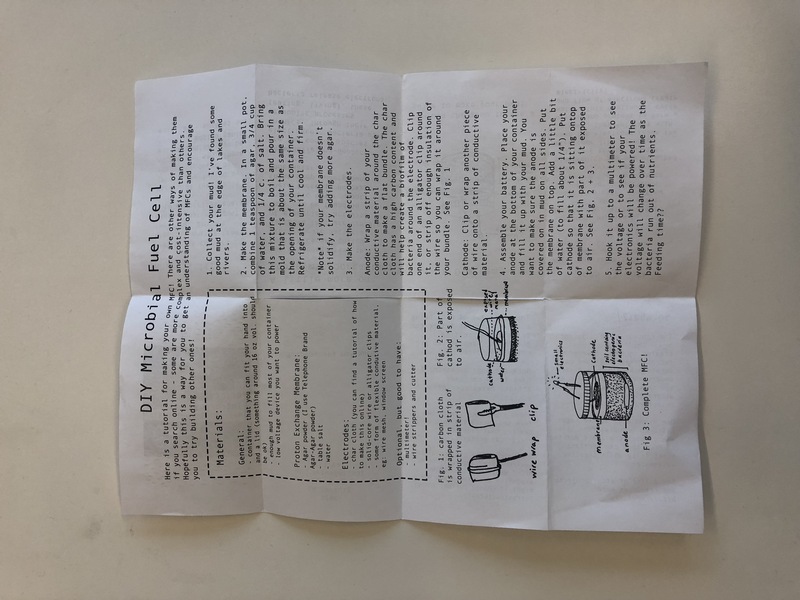 Because in addition to figuring out how to build this fuel cell from faded memories from the workshop I attended, I also had to source all the materials and figure out how to bring them from Ithaca to New York City. In retrospect, it all worked out! 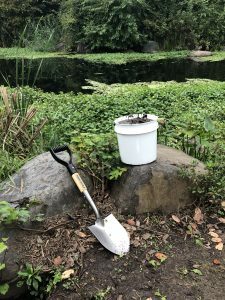 There was a moment when I was shoveling mud in a secluded part of Prospect Park into a bucket and shovel I had packed with me that I wanted to give up. But I persevered and lugged my very heavy 2.5 gallon bucket of mud back to my friend’s apartment. I would also like to give thanks to the stranger who helped me lug my cart of materials up the stairs of the Canal Street subway station. 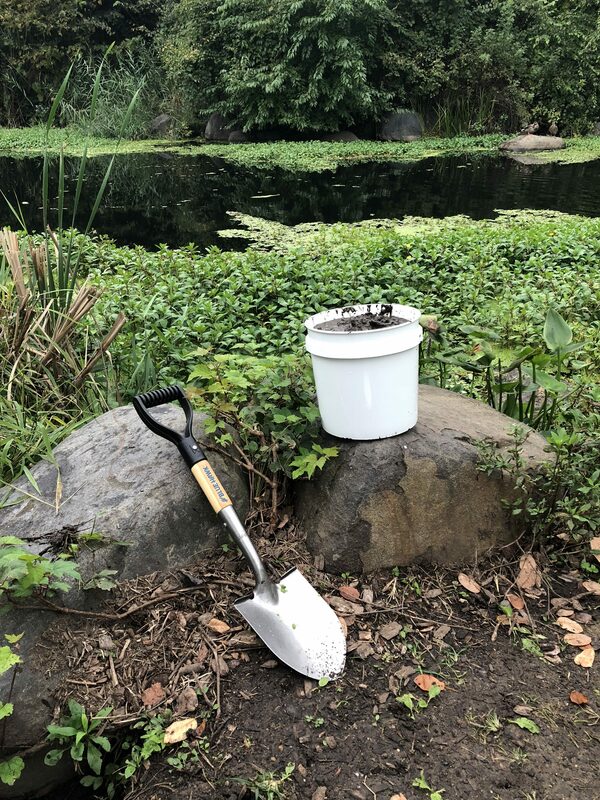 I was too self-conscious to let them know that among the items in the cart included a bucket of mud when they asked why my cart was so heavy and just responded, “Materials for a workshop”. Overall this part seemed to go fairly well as well. 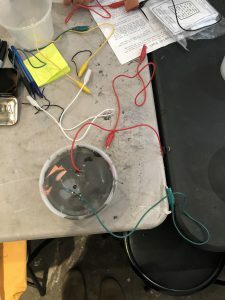 I had spent a month and a half prototyping different versions of the battery to figure out how to streamline the process and it seemed to work pretty well. I also sourced some LCD clocks that could be powered by super low voltage. 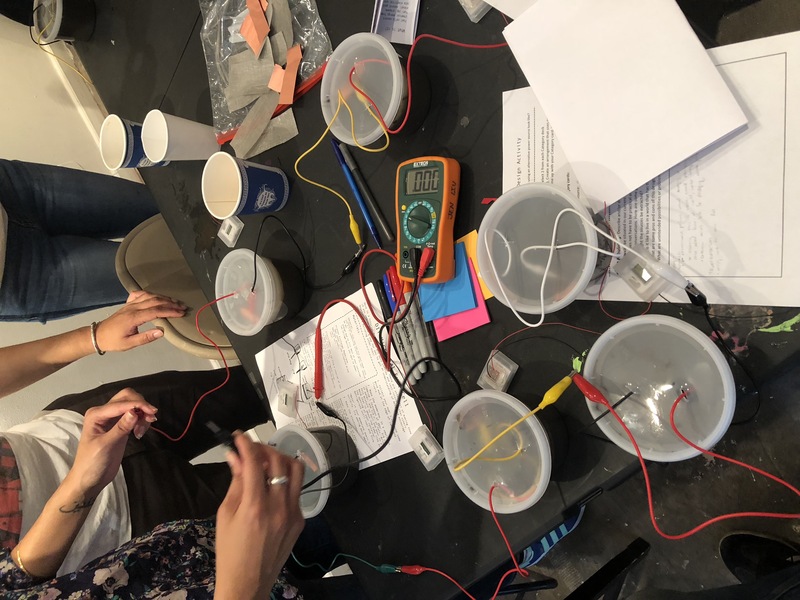 Though most of them did NOT wind up getting powered during workshop 🙁 , most people seemed to enjoy this activity, and in general understand the concept of microbial fuel cells. 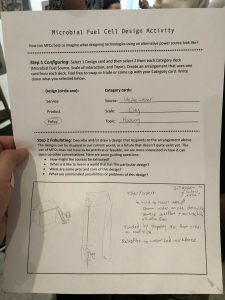 This workshop was an important lesson for me in workshop design and teaching. 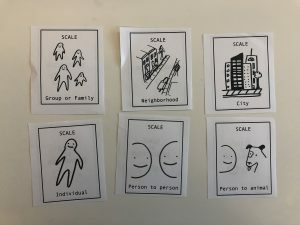 While I would say that I have extensive experience in teaching classes where people build things, this was an interesting class where I wanted to combine a hands-on activity with another activity that would ask people to think more speculatively and critically about the technology they engage with now or in the near future. 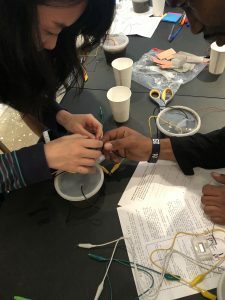 Furthermore, this workshop has helped me examine some next steps in my own research by considering how design methods can be incorporated into thinking about environmental issues in technology. 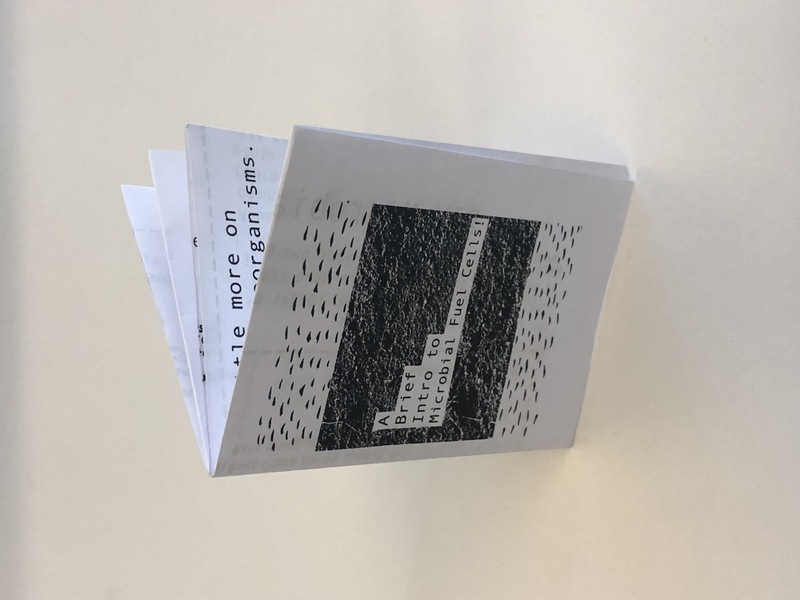 I can see one line of work that uses speculative methods as a way of understanding how we can make sense of grappling with the weird, hard issues that come up in the Anthropocene.